Since I teach keyboarding skills I use writing as my go to applying tool. When I started teaching keyboarding skills it was like pulling teeth to get my students started. They would whine a lot and ask: Well how long does it need to be, What do I need to put into it, Is a paragraph for you 3 sentences, and etc.. To get their creative juices flowing I would use a variety of tools. The top two tools that really got my students started in writing just happen to be augmented triggers and 360 environments. I truly believe the tools get students up, moving, and engaged in the subject or area they are writing about. 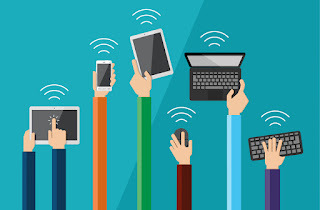 Keep in mind when it comes to augmented reality content you should treat it as a tool, and it doesn't have to be the main focus of your lesson or activity. Just like any tool it is there to enhance the learning experience, not to be the end all be all part of your lesson. Since 360s are a very engaging tool I was beyond excited when Buncee made it possible for me to embed them into their platform. Talk about personal learning! I can now create my own 360 environments and use them with my students. You can also get 360s from Nearpod and Thinglink. When Thinglink 360s get out of beta testing you will be able to add resources and information to the 360s. I can't wait for this feature. Talk about making learning engaging. The reason I really like Buncee's ability to add a 360 to a slide also allows me to add information around the 360. I can leave instructions, suggestions, questions, and etc.. with the 360. Below is a #Whatif Field Trip activity I created. The idea of this activity is for students to use these slides in the augmented interactive writing journal. My idea is to print these slides off the size of a business card and have them adhere them to pages in their notebook along with Quiver's map coloring sheet the printed off in a 4x6 size. I want my students to explore the 4 different areas and write about them. My students will also have to do some research about them. Then I want them to mark on their Quiver map where they think the different locations are. I would have a map per place or one large one. For me the map will be my assessment. Did they find the general location of each place. You will notice I did number each location so my students can just put the number on the map. For the keyboarding part they will be making a SMORE of each place and include pictures of the augmented map. You will notice that the 1st location loaded differently. That 360 is one I made with Bubbli of a zoo near by our town. The other 360s I pulled in within Buncee. Since I've been using augmented tools and 360s my students really do not whine about writing or ask me how long does it need to be. 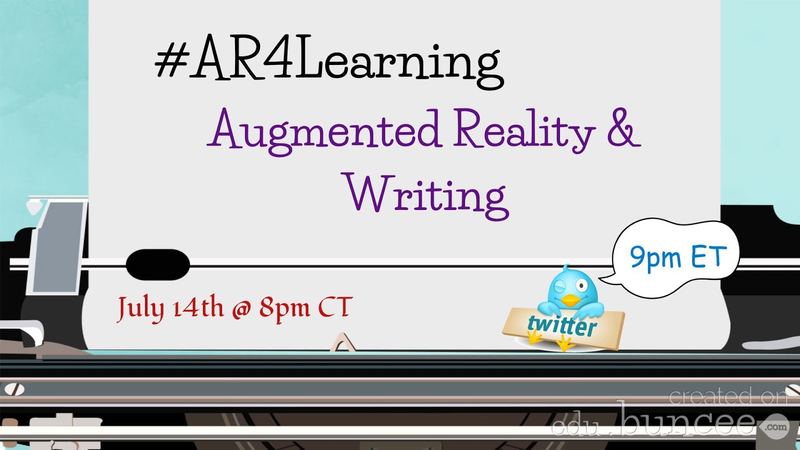 Join us every Thursday at 8pm central to learn more ways to use augmented reality tools in education.